LiveRez Founder and CEO Tracy Lotz speaks before a packed house at the company's vacation rental seminar in Destin. 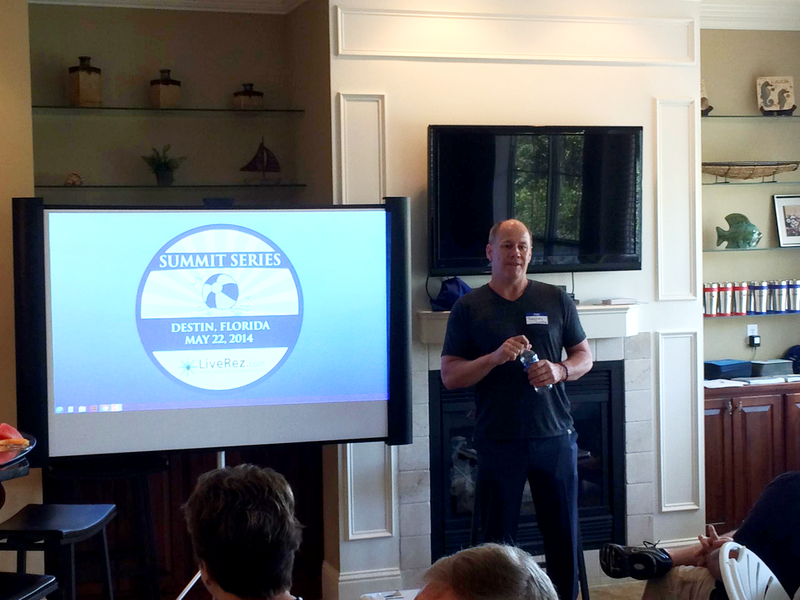 LiveRez hosted one of its largest Summit Series seminars to date this week in Destin, FL, with nearly 50 vacation rental managers attending. Some managers drove as much as two hours to attend the event, which featured free hot breakfast and opportunities for learning and networking. The evening prior, LiveRez also held an open house reception for area managers. The event is part of LiveRez’s ongoing Summit Series, an initiative that has the company hosting educational seminars all over the United States to meet with its partners and other professional managers. Next month, LiveRez will continue the series with stops in both Maui and Kauai.